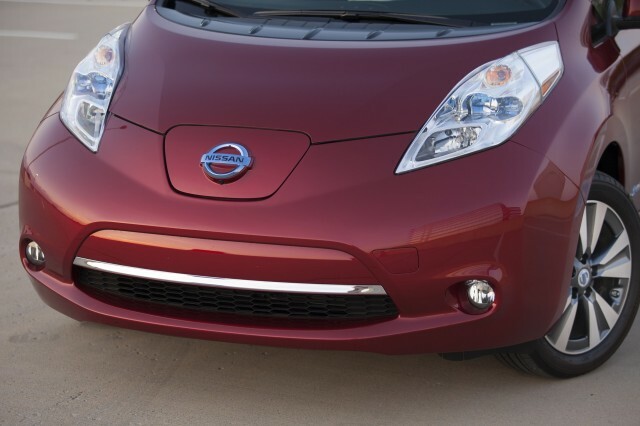 2018 Nissan Leaf Renderings: How Conservative Will Design Be? 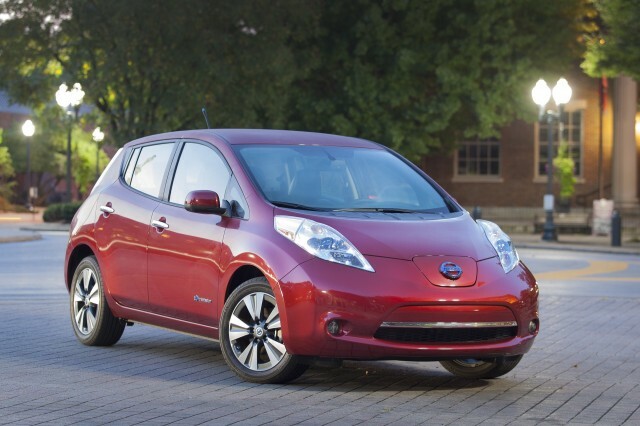 It's long been acknowledged that the current Nissan Leaf electric car is a radical and distinctive design, just as the landmark 2004 Toyota Prius hybrid was. But some portion of potential buyers, who may be amenable to the benefits of driving a battery-electric vehicle, won't consider the Leaf because of its "weird" looks. 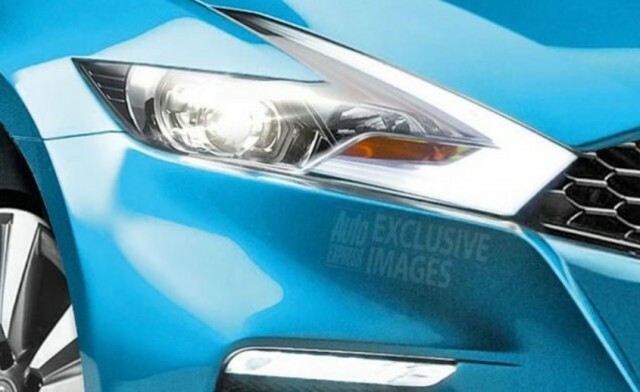 Now the British magazine Auto Express has produced five renderings of what it thinks the next-generation 2018 Nissan Leaf will look like. They're entirely speculative, but they're based on the styling language of Nissan's design concepts and latest vehicles, including the 2015 Murano crossover. Click on the magazine name above to see the full gallery of images, only one of which we've excerpted for this article. The article itself largely recaps what we know about the next-generation Nissan Leaf, which will likely be launched sometime during 2017 as a 2018 model. The 2018 Leaf will offer two or three different range options, based on lithium-ion battery packs with different capacities--following the model pioneered by Tesla Motors for its Model S luxury sedan. 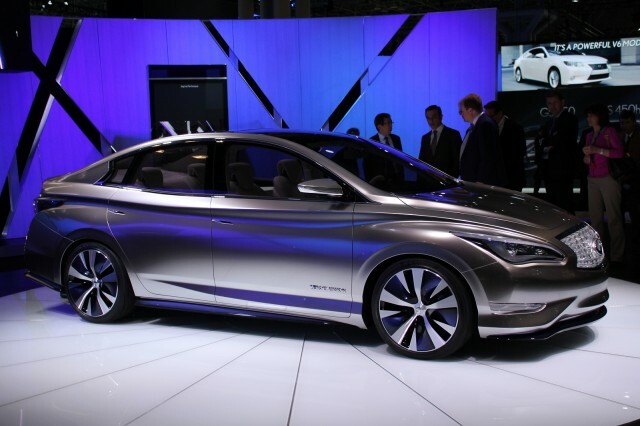 It will be preceded, however, by an all-electric Infiniti sedan--the evolution of the Infiniti LE concept shown at the 2012 New York Auto Show--which will likely use the longest-range battery to get closer to Tesla-range territory. We also know Nissan has indicated that the next Leaf may be slightly less unusual-looking than the current model, with the company having acknowledged that its design may be sufficiently polarizing that it drives away at least some possible customers. Over at Transport Evolved, though, author Nikki Gordon-Bloomfield is more cautious in commenting on the Auto Express renderings. She argues only that they may show a "general direction" for the 2018 Leaf. Despite Tesla's plans to build more than 100,000 a year of its third-generation car, often called the "Model E," Nissan seems likely to stay the world's dominant manufacturer of battery-electric cars for many years to come.